So, you think your Jack Russell is lonely and wants a companion. Having a buddy for your dog to play with while you’re at work is an admirable idea and a good one, if you think he is willing to share his living space and belongings with the other pet and if you have the finances and the option to include a new pet to the home. 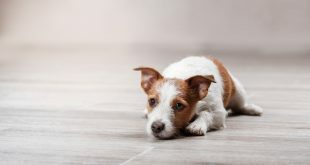 The trick with a cat and a Jack Russell Terrier is that they take a lot of time to get used to each other and this must be taken seriously, otherwise harm and damage can be done to both the dog and the cat. If this is something you’re dedicated to doing, keep reading for all of the information to make this transition easier for you and your furry family. What I found helped my dog a lot for being calmer when stressful situations are about to occur are L-Tryptophan dog supplements, they are completely natural and with my experience do work, give them a try. Would your Jack Russell love to have a companion? First of all, know your dog well. Make sure he is looking for a companion, and simply isn’t restless or need more attention from you. Some terriers may act lonely, only to lose all signs of that as soon as you try to spend more time with him. So, make sure the situation you’re in is, in actuality, the situation that you’re in. This will make sure that everyone is happy and in the right home! Second, usually do not get along well with other smaller house animals. This is because they are primarily a hunting breed that are designed to kill anything smaller that is invading its territory. So, a cat may not be the best option. If you have both the Jack Russell and the cat from babies, this is better than bringing two adults (or one baby, one adult) together, but still not a guarantee that everyone will get along well for the entirety of time together. As mentioned, Jack Russell Terriers can be aggressive toward smaller animals by nature, so the relationship between him and a cat or other animal needs to be carefully monitored and watched. If you are determined to have both a cat and a dog, make sure that you consult a professional and have him or her help you with interactions and long term monitoring. It may seem like a big investment of money, but it will benefit both animals in the long term and save their lives. It’s something to be taken very seriously. Before getting to know each other make sure that both dog and cat are in ideal condition to take care of themselves, not fearful or hesitant under normal circumstances. Essentially, make sure that both cat and dog are a good match personality wise. When introducing, move slowly and watch for signs of regression or serious fear. For the first couple days, keep your animals in separate rooms and alternate between who is free and who is locked up so that they both can adjust to the home and the new scent that is in it. It’s important not to move too fast, or the relationship will suffer. Once both animals seem to be acting and eating normally, you can move onto the next stage. This next stage is to allow both dog and cat to see each other. Both should be restrained by person or a leash/cage. Or use a puppy gate to separate them but allow them to see each other and adjust to connecting the scent to the sight in front of them. Take a lot of extra jummy treats for your dog and sit beside the puppy gate and treat him for every curious but peaceful movement. Make this experience positive for both animals. 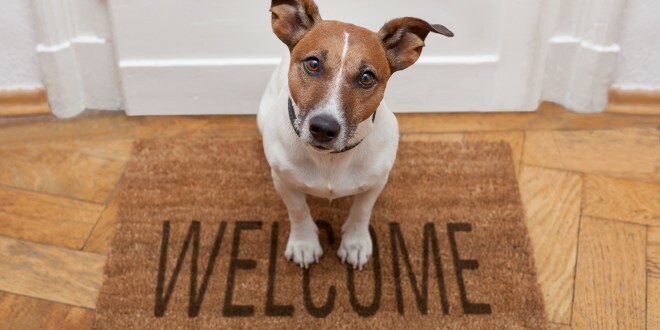 If your Jack Russell barks, or your cat hisses, close the door/end the contact and allow both to recover and go back to their normal routines. This step will take several days or longer to complete. You must continue doing this one until both dog and cat can see each other without reacting aggressively or without fear. The stage after this one is to allow them time to explore each other with their nose. Always move to the next step with both animals leashed. Watch closely their body language, treat them generously for a good behavior and be prepared for signs of lunging from either animal. Make sure you always have another person there to help you in case things get nasty and they start to scrap. Eventually, you dog and cat will be able to be around each other without a leash or restriction, but it will take a while to get to that point. Never push them into the interaction, let them move in their own pace. When it comes to living together, make sure that the interactions between cat and dog are always supervised. When you leave the room, take one animal with you to ensure that one does not attack the other while you are gone. It’s like a child, never leave them alone. Disaster can strike very quickly. When you leave the house, always keep one or both of them barred in a cage or a room. They should never, ever be left to roam the house freely together without you around. Make sure there are plenty of high, safe spaces for your cat to jump to in case of necessity or desire to escape from the Jack Russell, and other way around – your Jack should have his own place (a crate is the best) to have his peace if he wants to get away from the cat. It’s important in keeping everyone safe and happy. This will help you have happy and healthy pets so that your animals can have a companion and be safe about it. If the introduction process is done right, the behavior problems/aggression should be minimal, or perhaps non-existent if you are lucky. Take the introduction between animals slowly and carefully to ensure a good bond forms between cat and dog. You will have positive results and they may even become friends, if done exceptionally well. Both your Jack Russell Terrier and your cat are important to you. We get that, and want to make sure that everyone is healthy, happy, and out of danger. That’s why this introduction process is so long term and complicated. You have to make sure that both animals are content and feel safe in their own/new homes, and the best way to do that is by involving a professional and always having someone there to help you in case of emergency. These steps will get you started to having a bigger fur family and all of the blessings that come with it. Be sure to read my Jack Russell breed info in our article the learn more about them. Do you have any advice which you learned from your experience in getting two pets to know each other? If you have any suggestions or questions, leave them bellow in the comments. I have a long leg jack russel who is 2 jears old. I moved away from home last week and took her with me she is spayed. My boyfriend who i moved in with has a cat around the same age but my dog seems to attack the cat every time she sees her. What can i do to make this better ? I just brought a kitten home today. I have an 8-year-old Jack Russell mix. I have kept the animals separate so far, allowing only one out at a time to sniff the other’s scent on things like blankets. The kitten is very docile and 3 months old. My Jack Russell mix is generally nervous around new situations, but a loving companion to adults, children, and bigger dogs. What’s the best way to introduce her to the kitty? I’m so nervous. Should I hire a trainer before I introduce them? Hi Kimberly, I think the article gives you at least some basic info about where to start from, but you could hire a trainer if you’re unsure about what you should do. If you decide to hire a professional, please choose just those who use only positive reinforcement methods because they are essential for making a great relationship form the start. Hi Tricia, you should try to get them all used to each other, especially you should work with the JR. I understand you can’t trap cats for a long time, but for a start try putting them together with some kind of fence between them (for example put cats in a crate) and get the tastiest treats you can find (hot dogs, cheese or some other high-value food). Be next to the dog and reward any interest in cats, but you should reward immediately before he reacts in a negative way. Also, I would reward cats. Repeat that few times a day, in short sessions. The goal is to get the dog used to cats, and for him to connect cats with great food. Be super happy and praise him when he’s good and when he reacts, calmly say no and redirect him to something you’d like him to do. When you think he mastered his self-control while cats are in a crate, step up and leave cats outside and put some see-through barrier between them and repeat the process. Also, if you don’t have a crate, you could leash the dog. Be creative and don’t give up. Hope it helps. We rescued from a shelter an 8 wk old JRT x Cairn. We have 2 cats already. One 17yr old, one 4. The dog has been on the wish list forvsome years, so not a decision taken lightly. Trying to find a dog that would get along with cats was near impossible. Hence the puppy route. Ive had collies in the past so a JRT as yappy bouncy dogs were not on my preferred chouce, but she melted our hearts when we saw her and I had heard they are great fun & make great pets. Plus introducing a puppy to a cat maybe easier. But my 4yr old cat isn’t too happy. Puppy is now 4.5 mths old and has basic commands. Working hard on “leave” when the cat walks past seems to be a selective hearing command for the puppy. I’ve never given an animal up, but my cats where here first, and the reason for a puppy wasn’t to have my cat leave. Am I expecting too much too soon? Are JRT x pointless at trying to get them to leave a cats alone due to their drive to chase? Puppy is just wanting to play- thats easy to see. Can this be achieved? If I took puppy to obedience classes would this be worth the expense & achieve the puppy learning to leave the cat(s) alone?.. Did introduce them as above..
I’d say YES in a flash, but I have three cats and an older female dog. I am scared I might go crazy afterwards. What are the chances things will work out fine and they will all adapt? Hi Gabriela, I totally understand why you would immediately say yes and on the other hand, I understand why you worry you’ll go crazy. JRT can be really difficult sometimes, but they can also be the greatest dogs ever. 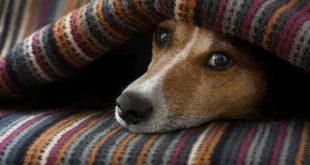 In lots of places, I read that JRT’s shouldn’t be mixed with other animals, yet there is a number of success stories where JRT lived happily ever after with cats, dogs, and other animals. Before you decide, take into account personalities of your older dog and cats. Would they tolerate small Jack Russell Terror? 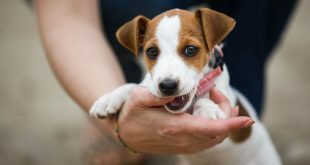 JRTs tend to be really active, so think if that fits into your way of living, will you be able to give her everything she needs (lots of playing and running, socialization, obedience training…). It’s not easy to answer your question, so make a list of positive and negative sides and weight it all out. I have a shorthaired Jack Russell that does not bark, does not dig holes, does not act crazy around people. My Jack Russell is like a normal dog. My question was all of this is, is this normal. I had a previous Jack Russell that is since past, that was all of the above. And insanely crazy dog, but was so much fun. Don’t get me wrong, this dog is a lot of fun. It’s just not what I was expecting when I got her . Hi, I am in a difficult position. I moved to a new town with my mommy (8years), daddy (8years) and 8month old male pup short hair Jack Russel cross sausage dogs. They could not live with me as there were other killer dogs on the property and had to go live with other people for the time being. The guy forcefully tried to shove his cat and my dogs in each other’s faces all the time to get them use to each other, hence the cat almost got killed by the mommy JR and I had to find another home for them. They have been happy for the past year and daddy JR swims and plays ball all day. I have since moved into a new place with my partner, it has a nice yard, but my partner has two cats around 9 years old. I take this very serious, it’s time to get my babies back with me and need help getting them use to each other. The mommy is aggressive and hates cats. I have always battled to keep her under control (she is a rescue dog and I have had her for 3 years now). The daddy and son JR always listens to me when I say “NO” but when mommy attacks, they all want to. My JR’s are mainly outside dogs now since living with other people, which could make this easier for the cats who mainly stay inside. I want to partition the yard so cats can have a safe place to go do their business in the garden. My JR’s will be coming to me in three days and I am not sure if this will ever work! Any advise will be welcome as my nerves are finished.